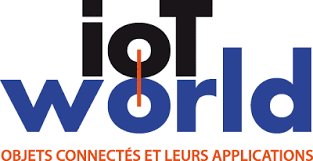 We are proud to invite you to come and meet us at IoT World, from March 22 to 23, Porte de Versailles, during which our integrating partner SINAPS welcomes us (Stand F34). We will present the different LoRa solutions to our catalog. Whether for asset management, localization, security or usage behavior analysis, Ineo-Sense offers a panel of connected products dedicated to improving your operating processes. We will be pleased to make presentations and demonstrations of our solutions on our stand.